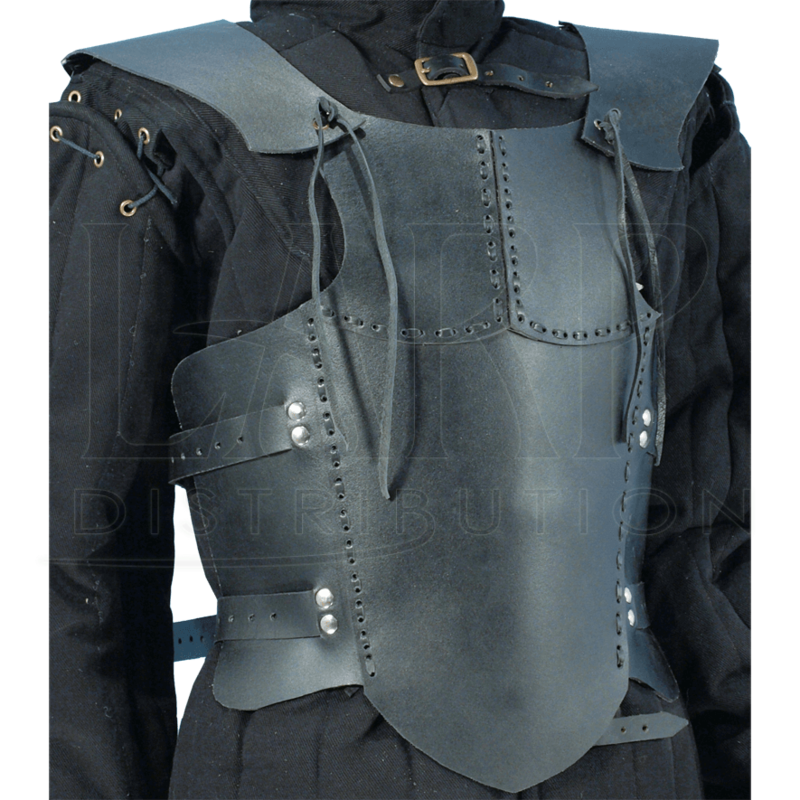 For the young adventurer who needs armour suitable for a LARP quest, the Childs Black Leather Body Armour is a trustworthy option. 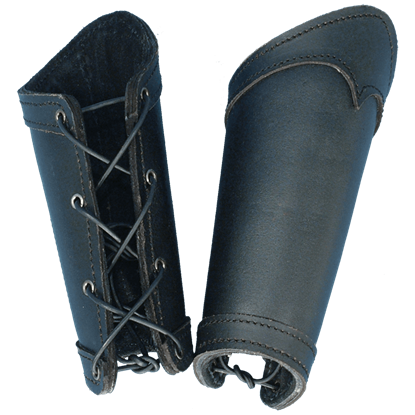 This lightweight cuirass will assist in the avoidance of injuries during the next roleplay event. Chrome-tanned leather plates were stitched together to create a stylish, yet durable piece of torso armour. 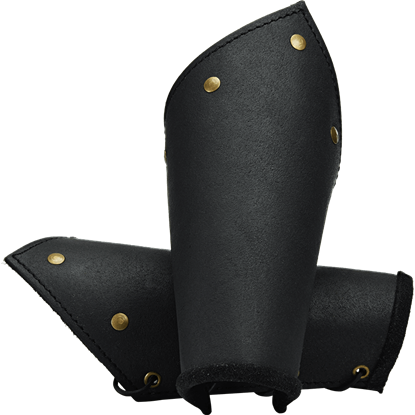 Leather cording fits the shoulder guards to the front and back plates. Stitching holds together the two large plates that form the back. Four side straps are riveted to the front and easily secure to the iron buckles affixed to the back. This Childs Black Leather Body Armour looks great with our Childrens Dragon Scale Bracers and Childrens Celtic Leather Headband. 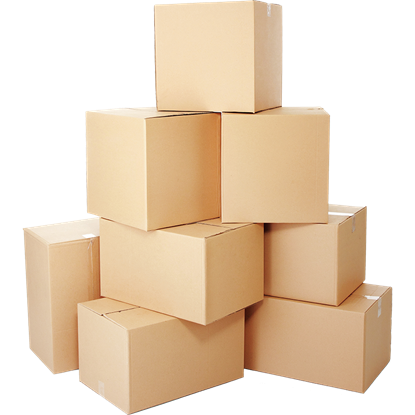 Will fit Chest and Waist sizes from 24 to 30 Inches. My little boy loves it and will be ordering more from you guys in the future. 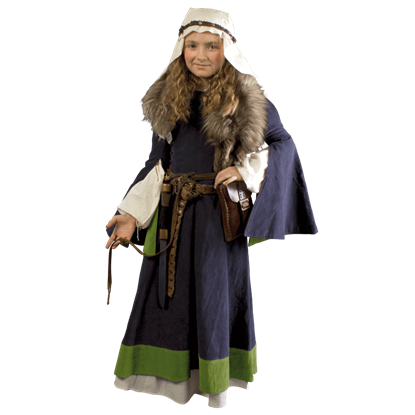 Whether the young maiden chooses to be dutiful and complete her daily chores, or join the other village children in frolicking through the fields, make sure her attire is suitable for the Middle Ages with the Girls Medieval Dress.